1-UP - 1-UP: Multi-Emu Frontend! CARTLIST32 - If you have console roms, you need this. CHEAT - Pugsy's MAME Cheat Page. CRASHTEST - More than JUST arcade screenshots! CPS2SHOCK - CPS2 Resource Center. DOCSHOCK REPAIR - Console Repairs! FABLOW - Final Burn Save States! GAMEBASE - Arcade Games list! GIGO & HII'S SITE - Official site for G-NES/TNES/G-NSF/TGB and more! G-MAX STUDIOS - EmuLand 1.0 -- AMAZING! IMPACT EMU - Awesome 3D Arcade Emulator! 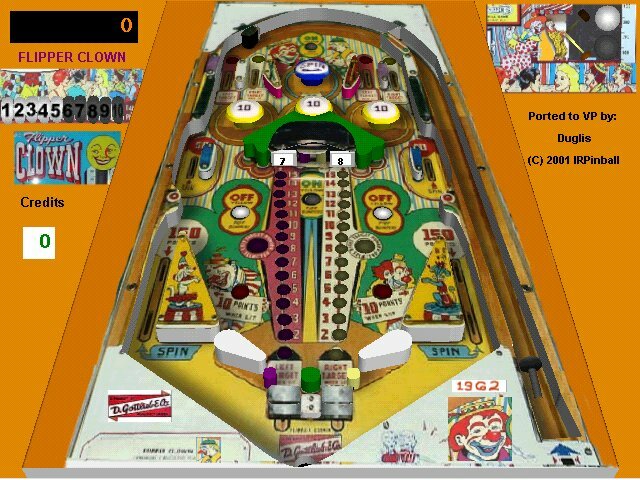 IR PINBALL - Original and Ported Pinball Tables for Visual Pinball! MAME - The Official Site! MAME ROM INFO - MAME Rom sizes/CRCs/filenames/etc ! MAME WORLD - The ULTIMATE MAME support site! NGMC - NeoGouki's MUGEN creations! NONMAME - Games Not Yet Emulated By MAME. OVERCLOCKED - Daily emu/gaming comic. POCKETNES - Play NES games on your PocketPC! RETRO RADIO - Official Retro Radio mirror. RIPS-R-US - Cool Sprite Rips! SASS - Speak & Spell Simulator! TKMAME - The Coolest MAME Frontend! THE REVIEW CENTER - Reviews, Reviews and Reviews!. .TZX VAULT - Huge ZX Spectrum game vault! X-MAME - Official X-MAME site. - Cool Sprite Rips! X-MAME - Official X-MAME site. GoodVECT v1.01 - Cowering is still updating his Rom renamer databases ! Here's the first GoodVECT update, v1.01 knows now 168 entries, twenty of them are new. - o - support "VS Freedom Force"
- o - Rice joins 1964. - o - Compatibility and speed are much improved. - o - Gerrit's latest OpenGL graphics ported to windows (1964ogl.dll). - o - Choose which core to run under the CPU Menu item. Back to the Roots - Amiga Scene At Its Best - Bobic & Hippie2000 made another awesome update at Back to the Roots - the best Amiga site on the whole net. They got the permissions to legally upload new games like : Battle Command, Carrier Command, Detroit, Garfield, Hattrick!, Land of Genesis, Scrolling Walls, Soldier of Light, Valhalla 2, XR-35 and more ! Swedish people attention please ! Even Beneath a Steel Sky - Swedish was uploaded !!! IMPRESSIVE isn't it ? Good to see that companies like Realtime Games, The Edge and Ikarion, to name a few, support the emulation community. Not every company thinks we are all only evil copyright violating pirates. Nintendo anyone ? Many excellent Amiga demos from the latest mekka & symposium happening were uploaded. 60 new tracker tunes, some game music and pictures from well known Amiga artists like Acryl (I love his ones) and Traitor (+ others). GoodVECT v1.00 - A new ROM renaming tool has been released by Cowering. GoodVECT v1.00 is an General Computer Vectrex renamer. This first release knows 148 entries. Pinball DATs - Whoa, what happened to last week? I've been busy moving from an apartment to a Condo, so I've been absent for a while. (Heh, and I've hardly even started the move.) :P You know what would go really well with the kickass Visual Pinmame? These. And why not, these too. :) Thanks to Logiqx and Wilman for the news and files! Tim - I spoke to Tim Eckel on the phone today for about 45 minutes. He apologized for what happened but he assured me it wasn't him, but most likely 'someone' who had acces to the server. Make of it what you will. Tim told me his server was currently receiving a huge amount of hits, similar to a site being Slashdotted, so to say. Whoever it is, could you please stop? It's not worth the hassle. Daedalus v0.05b - A new Daedalus binary was released today. Version 0.05b of this new N64 emulators fixes a slow motion problem on Win9x systems (and more). Thanks to EmuManic and AndySilver for the notification. Pathetic Timmy - Earlier today, we were hit by a malicious DoS attack, 'courtesy' of Tim Eckel (arcade@home). He used his CelebFoto site to do a search on the messageboards @ Zophar.net, about 4 MASSIVE searches a second through a huge database. He had a piece of code on every one of pages which would generate 4 searches with EVERY click, imageview and pageview. This caused our servers to become REAL slow. We have logs and the source code of his pages. Needless to say, his ISP was informed and the attack stopped shortly after. Since this was a malicious attack, we're not done with Timmy yet. "Buckle your seat belt, Dorothy, Kansas is going bye-bye!". - o - Additional data logging is done to help determine the precise location of problems. If you send any bug reports, please include mglserver.log, mglsc_debug.log, and debug.log in your reports. Rumor Mill! - Ladies and Gentlemen - would you please welcome JoseQ's latest installment of his famous Rumor Mill! article series ! - o - Added JEDEC FlashROM support. ...... you use the -nocrc option. - o - Implemented pending IRQ handling after IRQs were switched on. - o - Disabled IRQs in the SVC mode. - o - Added ObjAffineSet() BIOS call. - o - Added Halt() and Stop() BIOS calls. - o - Fixed several BIOS calls. - o - Fixed a special case of DMA with the length of 0 items. - o - Fixed LDR/STR/LDRB/STRB instruction display in the debugger. - o - Improved cartridge information reporting. - o - Added a lot of command line options. "Back In Time live UK is going to be the biggest event of the 2001 C64 calendar! Birmingham's "retro-futuristic" DNA nightclub has been hired to host the event, and all your favaourite C64 celebrities will be going, Jeff Minter (Attack of the mutant camels, Tempest 2000), Rob Hubbard (C64 music man), David Whittaker (C64 music), Allister Brimble and many more! C64 tunes will be playing all night on a 1:1 ratio with 80s synth, dancing girls, an amazing drinks promotion, three bars, free entry for the ladies and the official launch of the third Back In Time CD will make this a night to remember!! Meridian v1.12a - Meridian, Jason Cline's awesome NSF (Stereo), Genesis, SNES and Game Boy game music player was updated to version 1.12a today. New : "Fixed Another Bug In The Nintendo PCM Channel". Check it out and listen to the real evergreens : Tetris for Game Boy :) Game Boy music never sounded that good before ! GoodTools Update Madness - Looks like Cowering is still updating the MESS ROM databases ! 1) GoodSAMC v0.999.1 is a new member in the GoodTools family. GoodSAMC is a Miles-Gordon Computing Sam Coupe Disk renamer, its database knows 507 different entries. - First release. Many thanks to Mr. B for helping with names and disks. - The TOSEC guys are welcome to use these names if they wish. - Some of these disks don't work in any emulator... don't bother me about those. - Only recognizes .dsk .sad and .sdf files. Don't send me .pak files! - more cart redumps including ultra rare Megaboy from Brazil! www.jabosoft.com - Jabo the author of JNes has moved his site to a new URL - please update your bookmarks to http://www.jabosoft.com ! New PinMame/DOS and Visual PinMame released - New Visual PinMame and DOS PinMame binaries (and source diff for the DOS version) have been released. Version 0.99 beta 2 includes various game-specific bugfixes, as well as better mechanism support for many tables. Get them at the PinMame homepage . Hopefully we'll see John's Indianapolis 500 table soon, now that the Turbo mechanism is supported properly. - o - Neaten up the source code (no chance!). "Because of the good response to the Mame guide there have been a couple of updates done to it. Firstly there are two new sections, one on updating Mame when new releases come out and the problem you can face and there is also a section on rom management including problems and solutions. ...... from working correctly, like "Syphon Filter II". - o - Fixed interpreter bug, to work fine when HLE functions are on. - o - Fixed DMA timing for the Static Recompiler, now "Mortal Kombat IV"
...... and "SHADOW MADNESS" work fine again. - o - Fixed LOAD STATE option. - o - Speed-Up on all MULT,MULTU,DIV and DIVU CPU opcodes. ...... major bugs to be fixed. New Violence Lawsuits Against The Video Game Producers ! Slain teacher's family launches suit aimed at media violence. Saturday, April 21, 2001 - Just hours after many Columbine victims settled legal claims against the parents of the shooters, two other families sent strong messages to the violence-filled media that they say made Eric Harris and Dylan Klebold more willing and efficient killers. Linda Sanders, wife of slain teacher Dave Sanders, and two of his stepdaughters filed a multibillion-dollar, class-action lawsuit Thursday against 25 media companies, most of which manufacture or distribute video games. MAMECPS DOS v0.08 - A new MAMECPS version for DOS has been released. Version 0.08 adds support for the latest CPS-2 Shock release. Available are normal as well as AMD & i686 optimized versions. CPS-2 Shock #30 - Razoola's CPS-2 Shock released their 30th XOR table set. This time for Marvel Super Heroes (Hispanic 951117) ! Thanks to Death Knight for the email. GeoMAME v0.37 beta 14 - GeoMAME, the enhanced NeoGeo only version of MacMAME has been updated to v0.37 beta 14. Final Burn Launcher which is a front end for Final Burn. - Everything from MAME 0.37b14 except for steadykey' support. - Major updates to the files in contrib/porting. Added prep-new-mame and prep-new-mess scripts for porting from the MS-DOS sources. - Fixed the files in src/unix for which Per Wigren reported problems when using the Tru64 compiler. Visual Pinball Stuff - WiGGi and Destruk sent me some new Visual Pinball screenshots and links to interesting pinball sites ! 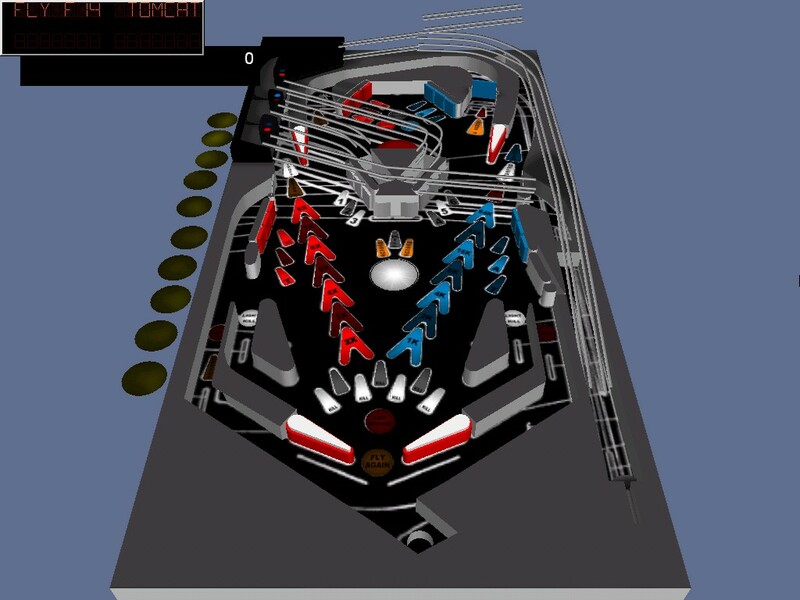 Right now there are SEVEN fully emulated pinball tables released and more than 20 are in development. - o - Visual Pinball discussion forum !!! - o - Newly released : GetAway - Highspeed 2 ! - o - Newly released : Time Fantasy by Apocalypse. - o - Newly released : Comet by Andre Needham. WIP : F14-TomCat by Zaphod/Nico and Terminator 2 - Judgement Day. Please contact me (or the PinMAME webmaster) if you're able to provide a GOOD Playfield photo for the last two mentioned pinballs ! Spot The Difference - Sega Museum Opens NAMCO Wing - Sixtoe did another MONSTER update over at his site the Sega Museum (former ShinobiZ' Home). Besides adding tons of new Sega stuff, he also opened the door to a new section - The Namco Museum ! MacMAME v0.37 b14a - An updated version of MacMAME has been released. Thanks to EmuHQ for the news. "Blade64 has been updated to WIP 2 today. Also the screenshots section has been updated. I'm currently working on the Plugins and hope to have them working as soon as possible. The source code will be released very soon. P.S Thanx for all the e-mail's and support the reply's are on their way! :) Also a DLL pack has been uploaded only for those who have PathPicker errors". - o - Bliss v1.53 - check Whatsnew.txt ! - o - Bliss Applet v1.01 - check Whatsnew.txt ! - o - Xanadu v0.62 - check Whatsnew.txt ! Emu Loader v2.5 R2 - Another revision of Emu Loader has happened. Ciro wrote : "Here is a new revision, but this time with a new feature. The return of "snap.zip" support. You can use both "ingame.zip" or "snap.zip" for the In-Game Snapshots (not both at the same time... it's one or another). MAME32 users can use EL with snapshots again. Renewed Linux NES Emu / Frontend Combo - GTuxNES, a frontend for the recently released Linux NES emulator TuxNES (recently means April 15th), was updated to version 0.75. - o - Added a new type of effects to simulate the aspect of an Arcade Monitor with a PC monitor. Check the new option "rgbeffect". code and some slowdown bugs fixed. Dreamemu v0.02 - Lord Cheese released a new version of Dreamemu, his Sega Dreamcast emulators for Windows. It's currently able to run some demos - check the download section if you wanna try them out. - o - 2D video output is improved. Don't forget to set your desktop to 16 BIT color depth or Dreamemu won't make any beep ! Thanks Duncan ! Classic Gamers Event - Wanna play the old classics ? Buy something for your collection ? Want to meet people with the same hobby as you ? Visit the PhillyClassics 2001 convention if you live in the Philadelphia area. Held from 20 to 21 April 2001 in the Sheraton Suites Philadelphia Airport. Entry fee is $7.50 - this inludes admission for friday night and saturday, entry into tournaments, auctions and more ! o - The Windows port of FCE Ultra was updated to v0.53. Now with support for the iNES mappers 77, 92 and 105 (partial) and the Power Pad. Thanks to Navarone's Emulation 9 for both news. o - Erik Chong's Apple 2 emulator for WinCE AppleCE was updated to version 0.2a. Thanks EmuManiac. o - EmuHQ mentioned the release of S.H.A.C.C. v0.85-36-324. If you need a frontend for almost every imaginable emulator have a look at it ! o - GIGO's NES/Famicom emu G-NES was updated to v0.515B. o - VirtuaNES is now available as version 0.10. This is another fine Japanese NES emu for you to try out :) Thanks EmuManiac. o - Version 1.06 of Mike Beavers' multi arcade/system emulator Mimic is available - don't miss the new Galaxian, Moon Cresta and Lucky Today HWCs ! This release signals a switch in direction for MacMAME. The Carbon build is now included in the main archive. The non-Carbon "classic" build is still available as a separate download. - o - B-EM - BBC Emulator for DOS. Spectrum News - Ignacio Burgue�o released v0.0.3 of his Spectrum Emulator. This emu emulates many different Spectrum models and needs Win9x and DirectX 5.0 to run ! First International Spectrum & Sam Days - A large Spectrum fan meeting will be held from May 19 to May 20 in Stein, the Netherlands. Organized by the Dutch HCC sinclair gg group and the German SPC Spectrum user group from Wolfgang and Monica Haller. Everyone is invited to join this meeting without any charge ! SGD v2.04 - The Spectrum Games Data Base was updated to version 2.04. New in this version is the addition of the RealSpectrum emulator. Spectrum fans should have a look - the inluded information are incredible ! Huge speed boost (rewritten gfx code). Enhanced gfx modes back in res 640*480. Audio Jukebox works with non working games. ROM naming now matches MAME. Another Emulator Has Bitten The Dust - Game Over for RockNES ! This was probably the last DOS NES emu in development ! Lack of motivation, frustration or only the flow of time ? I know nothing about Fx3's reasons .... But I wanna express my hope for a new emulation project by him ! "The RockNES project is no more. However, you can wait for a last update for all ports with the time (soon)". 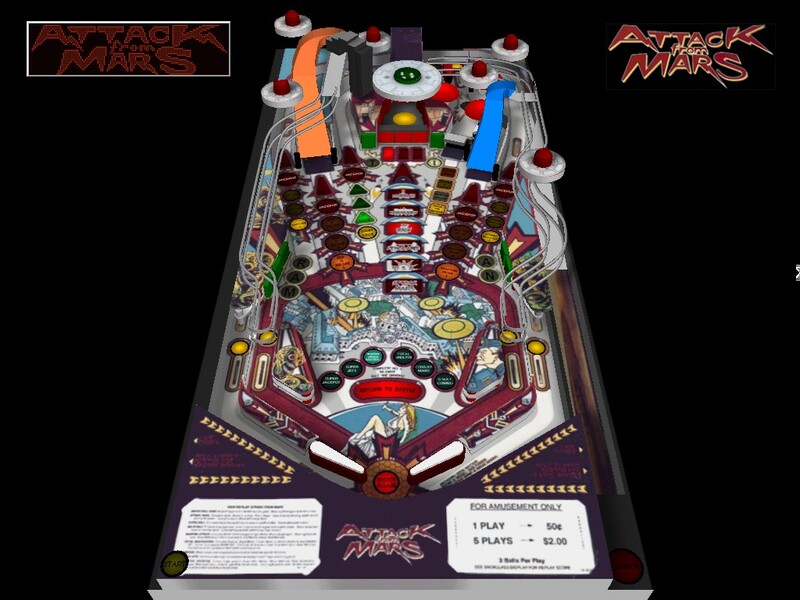 OK, here are some pinball news for you ! Nicky Special has set up an informative Beginner's Guide for Visual PinMame. If you need some tips'n tricks or you just want more (50) pinballs to try out, then this is your place ! - o - Moved dummy GBA.ROM contents inside the VGBA code. - o - Added DMA3 start at the beginning of HRefresh. - o - Added 'v' command to the debugger to show GBA status. - o - Fixed transparency effects in bitmap modes. - o - Fixed transparency with multiple backgrounds. - o - Now initializing rotation/scaling properly. "SHOWTIME!! 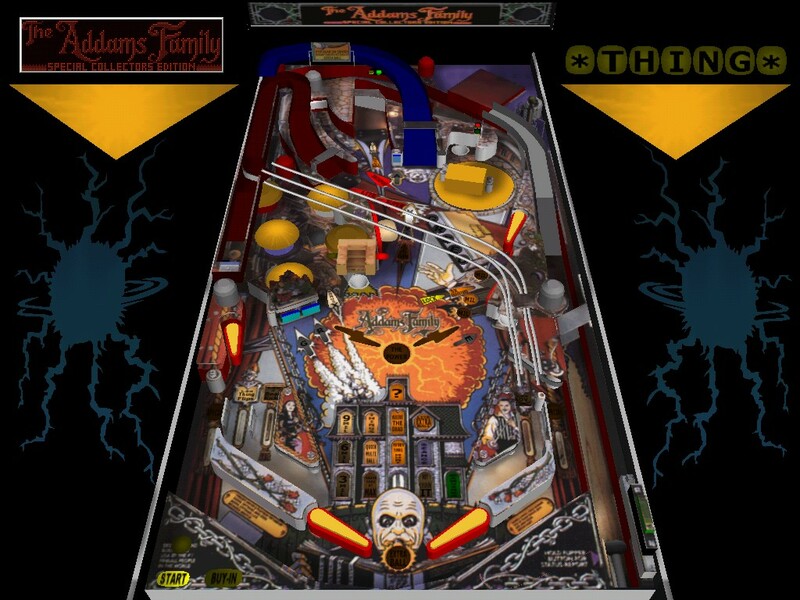 Addams Family Ready For PinMame - BORIS released Addams Family Gold for PinMame, the so called MAME for Pinball fans. 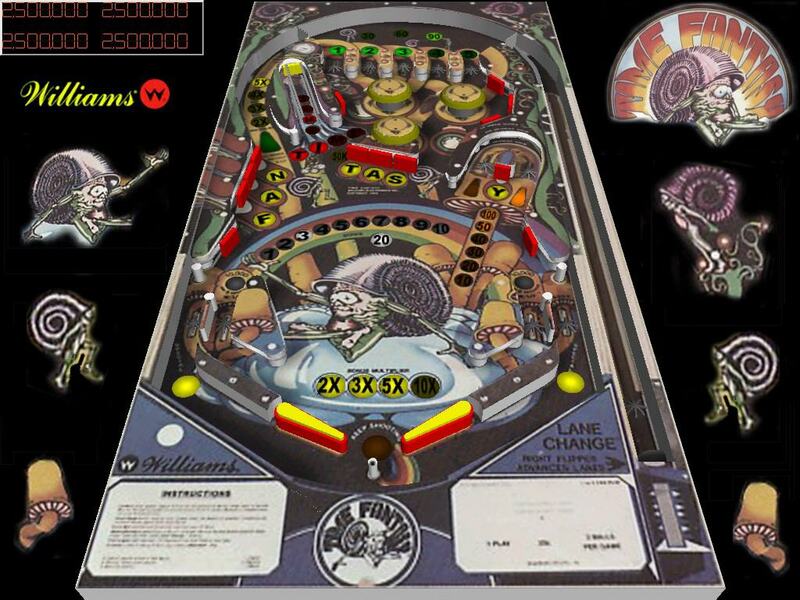 This is a true milestone, Addams Family Gold is the best selling machine in modern pinball history ! I have no clue about this whole thing so I've added some quotes from metallik to give you more info ! "PinMame is MAME for pinball machines ! 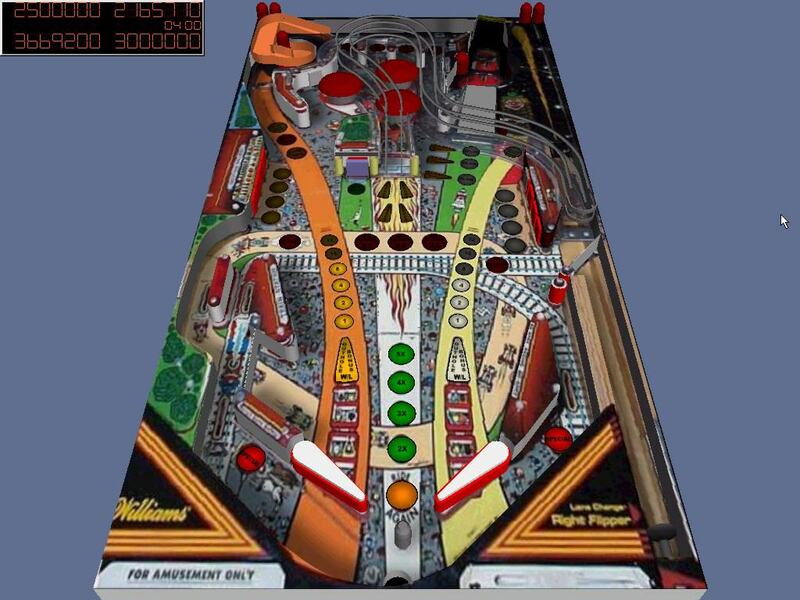 It emulates a pinball machine boardset exactly like MAME does. 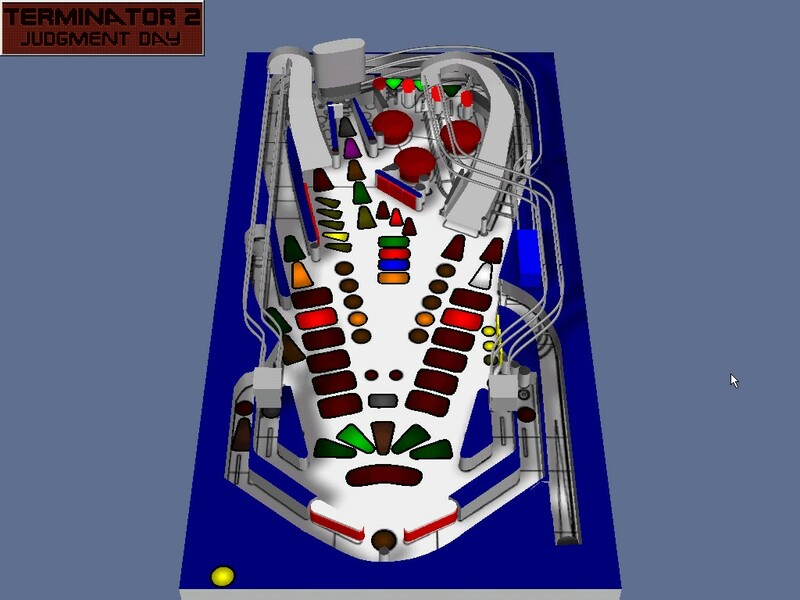 Visualpinball is like pinball construction set. 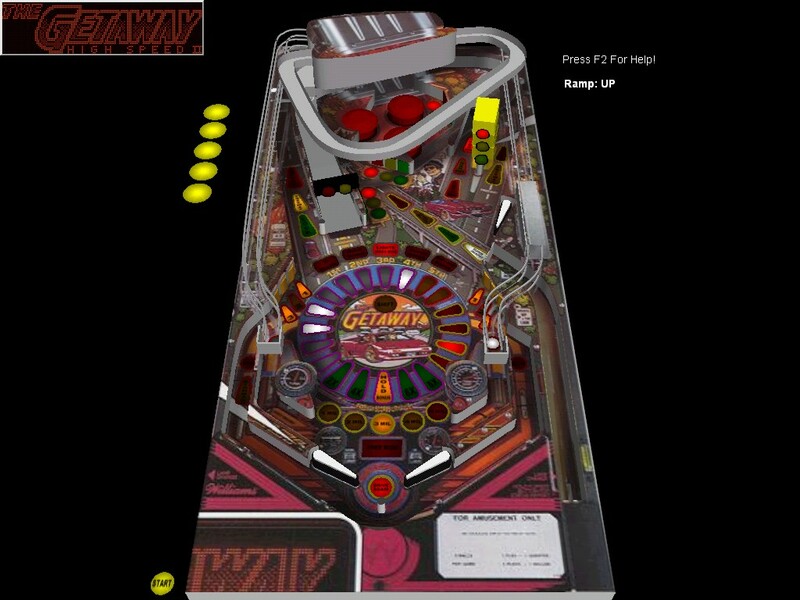 It lets you design and play pinball tables .... 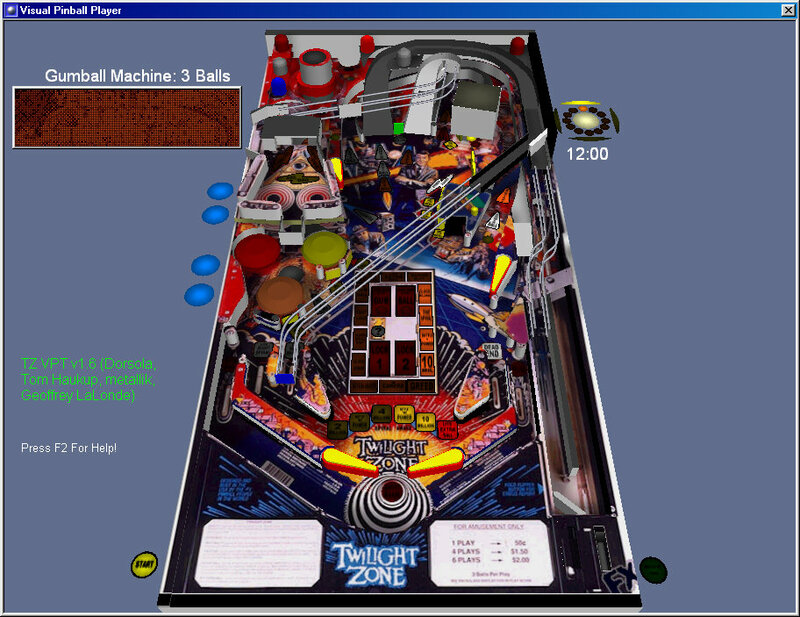 The combination of the two - VP-PinMame allows someone to design a pinball table simulation, and tie it to Pinmame's emulation for rules.. so the simulated table is running with the emulated pinball roms providing the rules, sounds, displays, etc. But you need at least 500 mHz or so for it to run ok". Hope this all made sense :) HERE's a picture (jpg, 216 kbyte) of Addams Family Gold running on vpinmame. Rumor Mill - Wow, another week has gone by ... The rapid flow of time amazes me every thursday when I post about a new edition of JoseQ's famous Rumor Mill. Topics are TR64, JAE, Meka, Zeograd's PC-E activities, Mimic, RAINE, AGES and Laser. - o - superpimped install! - o - Disabled startup information, warnings, and copyright with network game. Windows CE Console Emulator Releases - Not many news related emails came in today - so I have to send (one more time) a big "Arigatou", "Danke Sch�n" and "Merci" to Emulation 9 for the steady news supply ! Below are the latest console emulator releases for Windows CE devices - have fun with your little power toys ! Gamebase 64 - One of my favourite C-64 sites - Gamebase 64 (home of the famous frontend with the same name) was updated today. - MESS 0.37b13 is now included. - Adopted the directory layout used in MESS CVS. Namely, all of the xmame-specific directories have been moved into src/unix. Releases will now have symlinks to these directories in the root. - Updated the docs to reflect the new mailing list address, courtesy of Pete French. - Fixed an unmatched parenthesis error in src/drawgfx.c that was affecting non-Intel platforms. - Fixed a bug in mess/cpu/apexc/apexcdsm.c that was causing xmess linking to fail. - Raster effects!!. Preliminary. Some games have graphic glitches. - Ssf2 y ssf2t work perfectly. - Added the 400x300 and 640x400 resolutions. - Fixed the crashes when using ALT-TAB to switch task. - Added command line options. - Fixed the 3 punch in player 2 bug. - Modified keypress detection. Now it's easy to make half circle moves. - Added 2xSAI y Eagle. Removed the old interpolation modes. AGES v0.25a - Major update on Quinntesson's 16/32 bit Sega emulator AGES ! Wow - ZIP support and even PNG screenshots are now possible (good for me !). CD games are supposed to work better now ! Daedalus v0.02b - The 2nd official release of Daedalus, a new Nintendo 64 emulator for Win9x, is here. - o - Fixed the main bugs that caused Daedalus to crash on 3dfx chipsets (thanks JTS). - o - Fixed the uninstall - it was deleting everything in the directory (sorry Arakon). - o - Added an updated .ini file (thanks bjz). - o - Added support for .n64 files (thanks Luigi64). - o - Fixed problems when dynarec/speedsync etc were disabled for a rom and would not be reenabled. Virtual GameBoy Advance v0.4 DOS - Marat Fayzullin sent word about his latest emulator release : Virtual GameBoy Advance or for short : VGBA. Z80Stealth v0.450 - Fine ! Now you know about the existance of ScreenMania - hope you'll like it :) Now back to the daily news business ! Good5200 v0.999.3 & GoodMTX v0.999.1 - Cowering released two GoodTools today. First the updated Atari 5200 ROM renamer : Good5200 v0.999.3. Good5200 Stats: 165 entries. Second : GoodMTX v0.999.1, a new Memotech MTX512 tape renamer. It currently knows 94 entries. If you really stick to your decision then please accept my "thanks for the past work, man" ! It was a honor to be part of a team with you aside. Thanks and my respect ! Gens Moved - WIP Screenshots - The Genesis emulator Gens was moved to a new place - please update your bookmarks to http://gens.emunewz.com. For AB and GF hardware fans, I have donated all the findings I made in Final Burn to MAME. GNUboy v0.9.12 released - It's a GNU (free & portable) Gameboy emu! - o - Fixed initilizing problem. - o - Optional 6502 debugging to file. "Arkanoid ! Derived from Breakout, cool new features, attractive graphics, and brilliant gameplay made Arkanoid define an own genre of games. The emulator supports sound. This time not by pre-recorded samples, but by real emulation of the AY8910 sound chip, which was used in the Arkanoid machines. The bat can be controlled with the cursor keys or with the mouse".